This pretty Maria Anklet is the perfect accessory for your summer 'foot loose and fancy free' boho look. 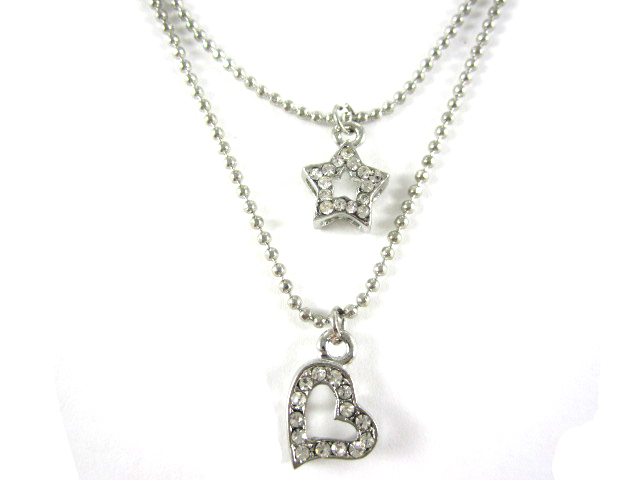 It features a multi layered, silver, ball styled chain and gorgeous heart and star charms. A versitile design you can wear on any occasion, fun or formal be it at the beach or a party, out to dinner or even just hanging around at home.